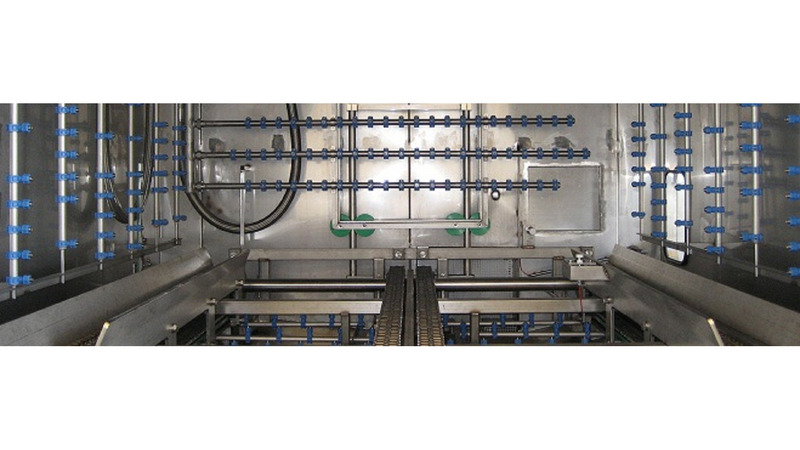 In a chamber system, parts are washed, rinsed and dried in one and the same chamber. Because of the longer time this takes, it is better for performing batch jobs. The components are placed in baskets or, in the case of larger sizes, directly into the chamber. Additional process steps can be performed, such as turbulation or ultrasound oscillation.